Today I want to introduce a new brand in my blog called Organique. Actually, this review has been pending for long. I stumbled on this brand on Instagram and after some recommendations from fellow bloggers, I ordered a couple of products from them. I liked them very much and placed two more orders also after that. 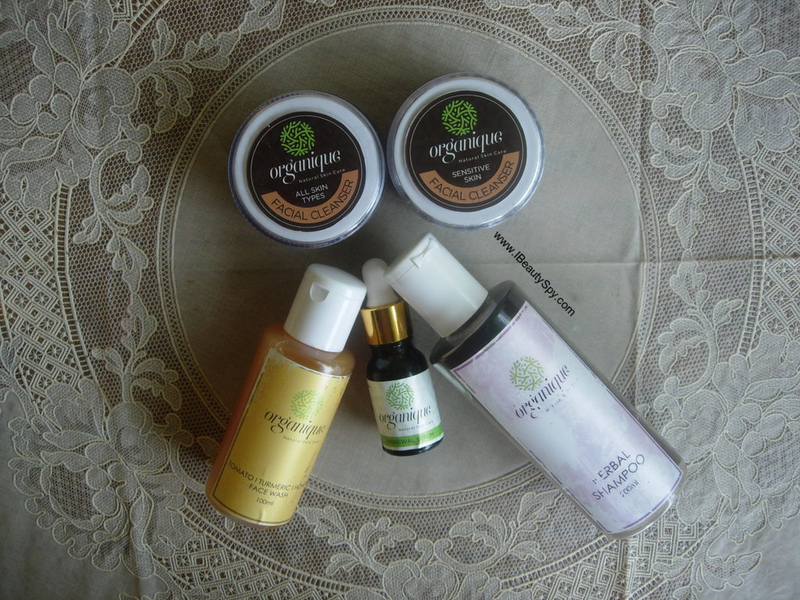 All their products are handmade, natural and free from harsh chemicals. Since I liked the quality of all the products that I hauled, I wanted to review them on my blog and introduce my readers to them. But I got busy with other collaborations and forgot this. As I was going through the folder where I had stored my old pics, I came across these products pics and so thought I will review them now. Because this brand does deserve a mention. In this post, I will review all the products that I purchased from them. Please excuse the bad quality images. I have used the products for a long time and the labels have become old and torn. Castor, Rice bran, Soya bean, Almond, Jojoba, Neem seed oil, Coconut milk, Full fat milk, Yoghurt, Herbal extracts of Amla, Reetha, Shikakai, Methi, etc. Oat flour, Rice flour, Kaolin clay, Strawberry powder, Rose petal powder, Evening primrose oil, Essential oils of Carrot seed, Neroli, Ylang Ylang and Geranium. This is a powder cleanser and they have two variants of it – one for all skin types and one specially for sensitive skin. 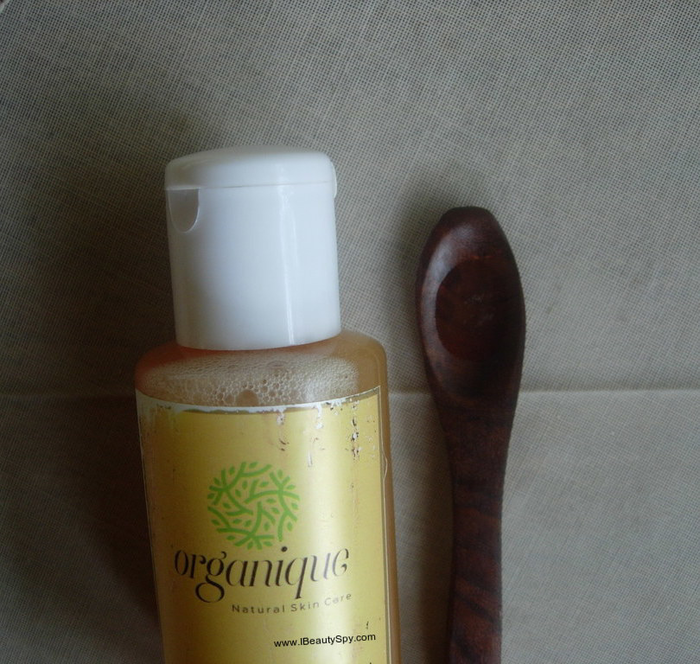 Organique Facial Cleanser is one of the gentlest powder cleansers I have used. 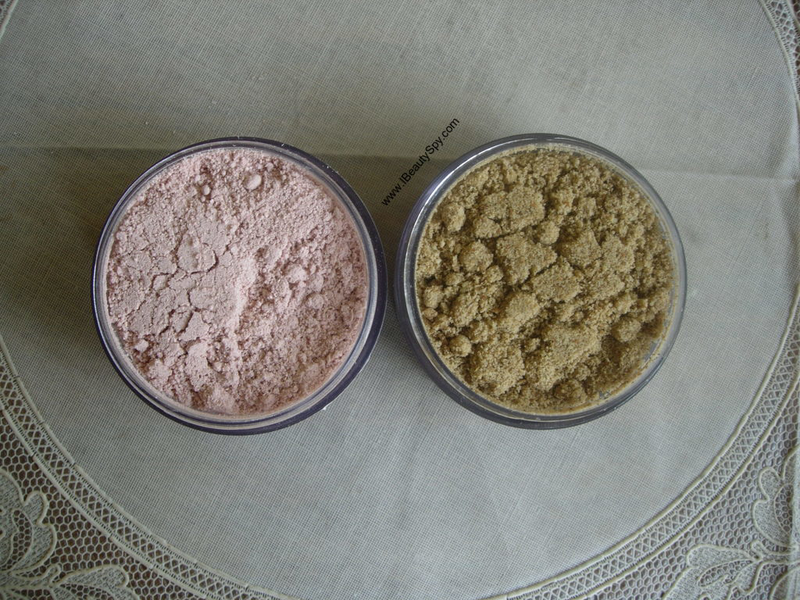 Its a very fine powder and looks pretty as well, as its slight pink in color 😀 . I just mix some water to make a paste and massage my face with it. After washing, my skin feels smooth and looks bright and radiant. Sometimes I also leave it on for 5-10 minutes and that feels like I have got a facial done. With regular use, it made my skin healthy and glowing. I would definitely recommend this cleanser. Almond powder, Coconut milk powder, Papaya powder, Chamomile flower powder, Chamomile essential oil. This is a powder cleanser specially created for sensitive skin people. And, oh boy, it definitely stands by that. When you mix this water, you don’t feel any powder particles at all. It becomes likes a mushy paste which is so gentle, calming and nourishing on the skin. It made my skin so so baby soft. And healthy, radiant. This too I would definitely recommend for sensitive skin as well as dry skin people. They have two variants of face wash – this one and other variant is neem and tulsi. Am not sure about the entire ingredients list of these. But I know they are free from SLS, SLES and other harsh chemicals. In case you are interested to know the full ingredients list, you can always message her and ask. The owner, Sandhya, she is a really friendly person. This face wash has a strong fragrance of turmeric. It lathers mildly and cleanses skin without drying. I might not repurchase this due to the strong turmeric scent, but I would like to try their Neem Tulsi variant. If you looking for a natural, chemical-free face wash, then you can give these a try. I liked it. Jojoba oil (herb infused), Black cumin oil, Turmeric oil, Vitamin E, Pumpkin seed oil, Hazenut oil, Argan oil and Essential oils of Sandalwood, Helichrysum and Lavender. Herbs infused are Fennel seeds, Rose petals, Lavender, Red clover flowers, Rosehips, Calendula. Nowadays there are lot of face serums and oils in the market. I myself have tried many from different brands – both high end and mid range ones. But Organique Renewal Face Serum is close to my heart even after trying many others. I don’t know why, but it just gave me a lot of good vibes when I used it. 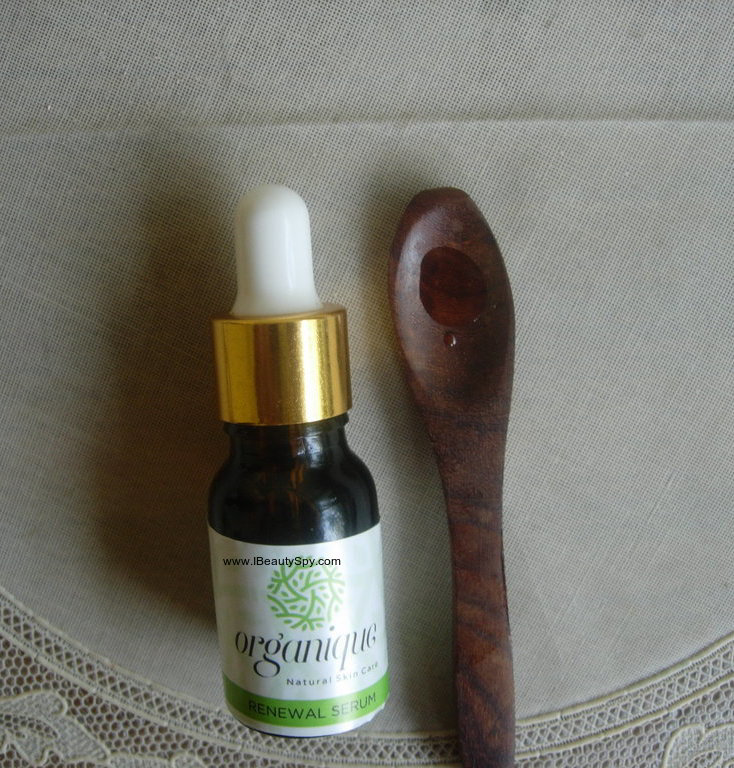 The serum is a light-weight oil, non-greasy and non-sticky. Just a few drops and you are left with healthy, moisturized and glowing skin. It also faded some of my acne scars. The ingredients list combination is one of the best I have ever come across. I would highly, highly recommend this face serum. This is a deep-conditioning hair oil that I use whenever my hair gets all dry and frizzy. Especially when I come back home from a trip/travel and my hair is all messed up. Just one hair wash with this oil and my hair becomes conditioned and healthy again. That’s how nourishing and deep conditioning this is. Makes my hair smooth as silk and literally flow without any tangles. I loved these effects. But I haven’t noticed much of hair growth with it. So I alternate it with another hair oil. Ingredients: Coconut oil, Castor oil, Flaxseed oil, Avocado oil, Almond oil, Neem oil, Lemon, Orange, Grapefruit Essential oils, Saffron, etc. I have stopped using body lotions for a long time and using mainly body oils. I wanted to try this one as I found other products from the brand very good. This is a rich oil for my dry skin and smells funny due to the neem oil. But it can be customized and she asked me my skin type and also whether to add neem oil as it will smell strong. This golden colored oil is very nourishing for my super dry skin. My skin feels really soft, soft and soft. This is supposed to help in skin brightening and pigmentation. I have noticed slight effects on that, but not much. 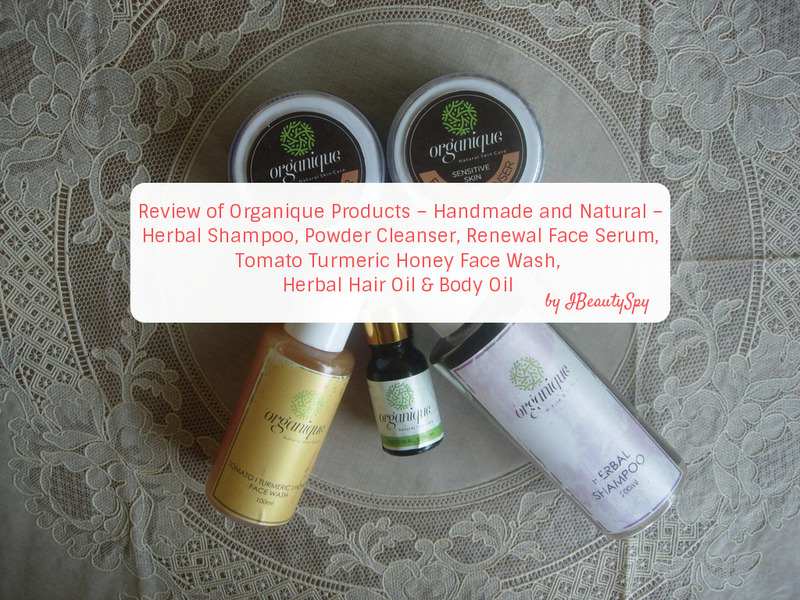 Overall, I feel that Organique products are affordable. The quality is really, really great. The ingredients list is a unique combination which I haven’t found in other brands. If you ask me the must-try ones, I would suggest the Face Cleansers and Renewal Serum. These are like really must, must-try. Also for sensitive skin people, I would definitely recommend the sensitive skin cleanser. Other products you can pick as per your skin type and hair type. But you wouldn’t be disappointed with their quality. So that’s the brand review of Organique. Hope you guys found it useful. Have you tried any products from this brand? Do share your experience in the comments below. Renewal face serum looks great to try! I have to get some product for me. Love the review. Thanks for sharing it.